I love exploring the architecture and character of places. 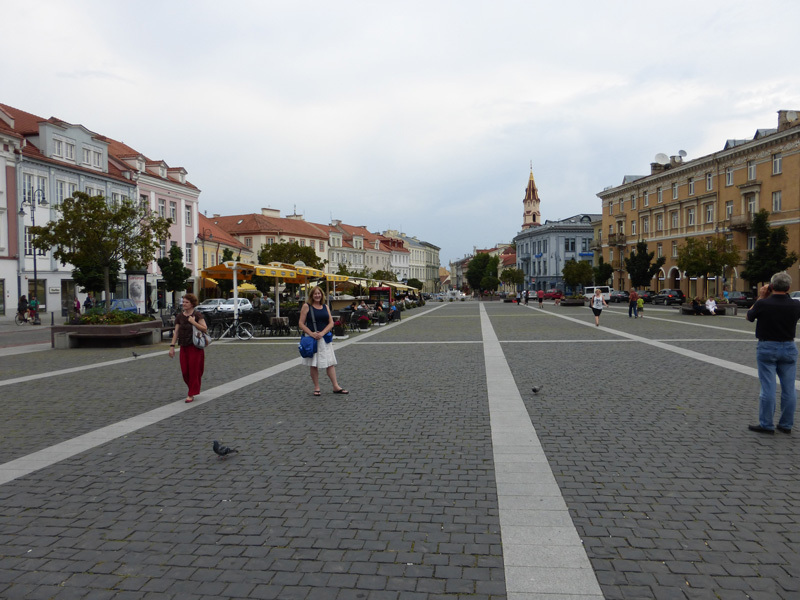 Here are some photos of the old city of Vilnius Lithuania. I have a lot of photos here and pretty much maxed out what I dare to do on any one web page. (I am finally posting these in 2017 but I took them in 2014.) These photos were taken over several days. 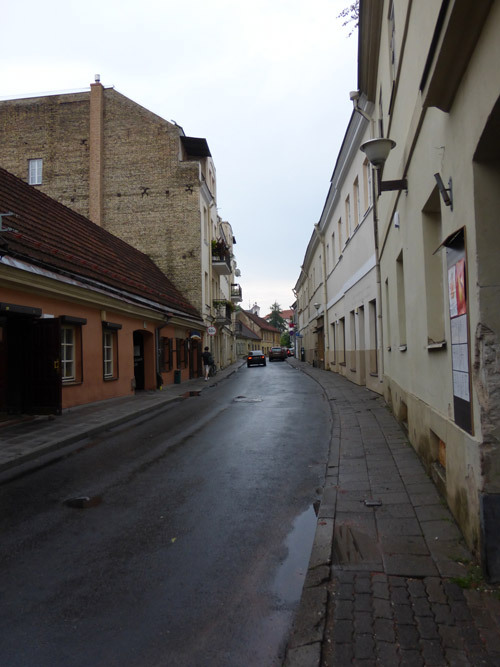 George W Bush President of the U.S.
Vilnius historic center - the old town, has been inscribed upon the world heritage list of the convention on the protection of the world cultural and natural heritage by UNESCO World heritage committee in 1994. Inscription on this list confirms the exceptional universal value of a cultural site which deserves protection for the benefit of all humanity. Then we walked around the area. This plaza is chock full of history. I belive I took this and the next photo walking down from the castle tower. This is across the street from that plaza. A few streets come together. As you can see, it’s a beautiful and happening area. Now… Standing to the right of the leaning tower on the plaza, on Sventaragio looking at the start of Gedimino. The bookstore/coffeeshop Pedro took me too is on the left and past that is where I bought my SIM card. The street I walk down in the next photos is also to the left. Standing at the leaning tower. 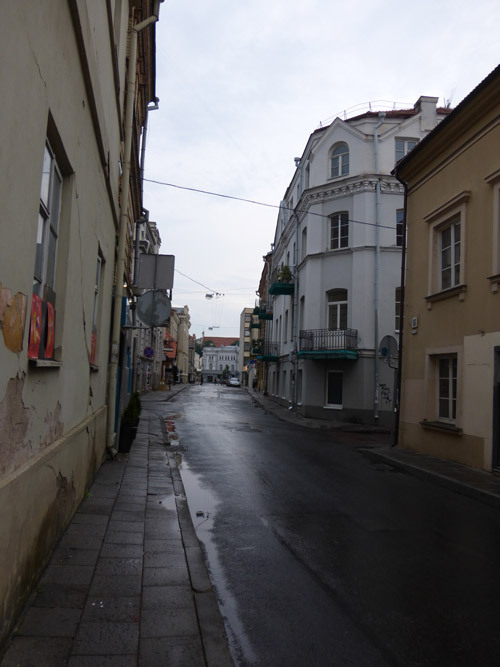 This is Totoriu gatve (steet) as I walk from Gedimino, a main shopping street, to a CouchSurfing.com get together. 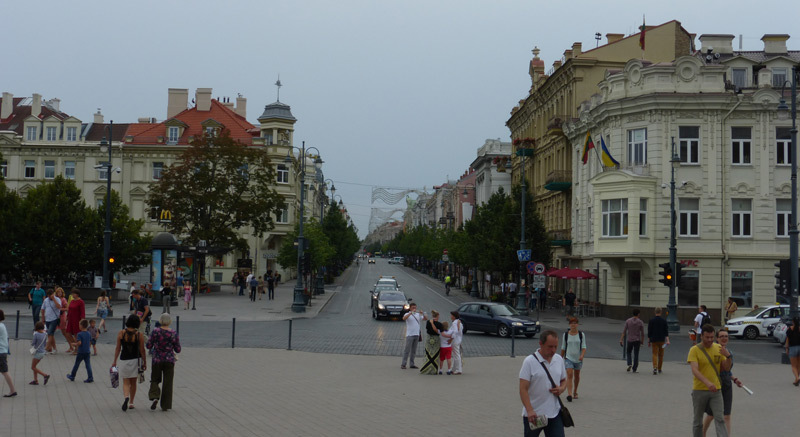 Gedimino is a major shopping/eating street full of people. It was a short walk to my destination. We were meeting at Mano Kiemas at 13 Totoriu gatve. I’d arrived early, so I walked a short way back down the block to Maxima, a supermarket (see the supermarket on Google maps if you’d like) and picked up a few odd things to eat as a light meal. There would be bar food and a good meal out is always nice as a traveler, but I was also watching my money.